Booktalk: In 1930, anyone walking down Fifth Avenue in the middle of New York City would have seen an incredible sight. A forest of giant steel beams rose hundreds of feet into the sky. Thousands of men stood on the beams cutting, drilling, and hammering. 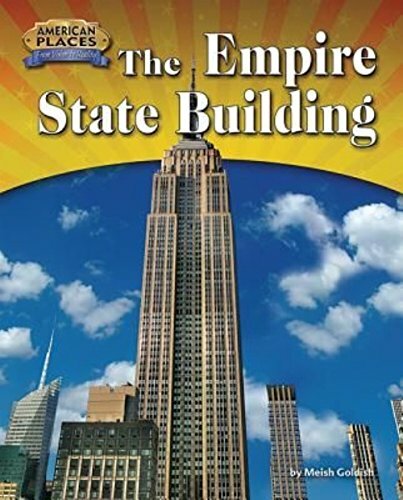 The workers were constructing the Empire State Building–?the tallest skyscraper the world had ever seen. Snippet: Before the late 1800s, most buildings were supported by wooden or stone walls. However, these materials weren’t strong enough to support buildings higher than ten stories. In 1855, a process was invented to make steel that was extremely strong and inexpensive. This steel could be used to make beams and columns that supported very tall buildings. 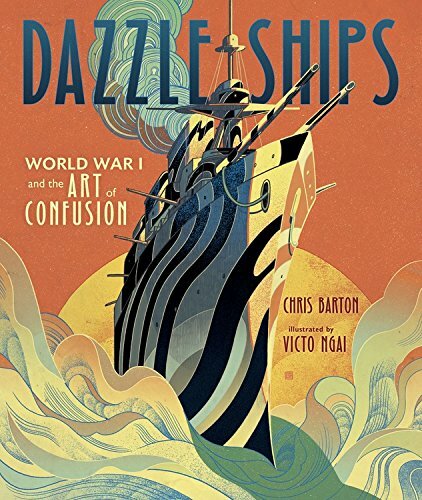 Booktalk: Desperate to protect ships from German torpedo attacks, British lieutenant-commander Norman Wilkinson proposed what became known as dazzle. 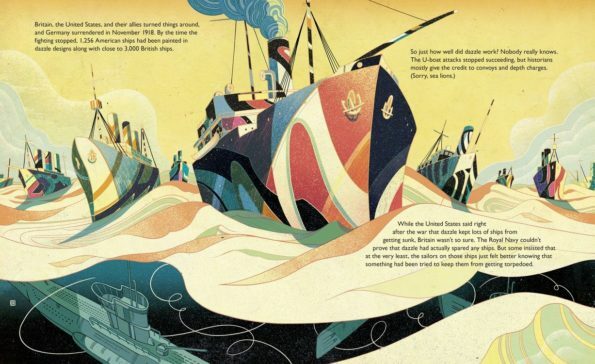 These stunning patterns and colors were meant to confuse the enemy about a ship’s speed and direction. By the end of the war, more than four thousand ships had been painted with these mesmerizing designs. I love nonfiction that reads like an adventure novel! Lawrence Anthony ran the Thula Thula reserve – 5,000 acres of undeveloped bush in the heart of Zululand, South Africa. It was home to white rhinos, cape buffalo, giraffes, zebras, lynx, antelope, and other animals, but no elephants. Anthony never thought to have elephants, until he hears of a small group of elephants being given away. They’re “troublesome”, he’s warned. But he decides to take a chance on them and reinforces the fencing. They get out – many times – and Anthony decides he’ll have to sleep with them to let them know that they are safe and this is their home. In between the adventures of tracking down escaped elephants and capturing poachers, Anthony tells about elephant social groups. 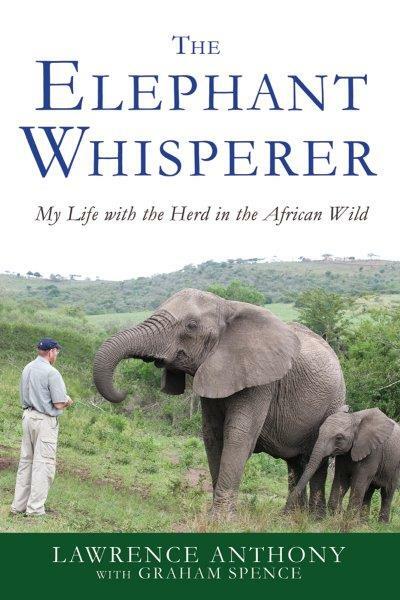 He describes each of the animals in the herd, their personalities, and a whole lot about animal behavior. One thing he emphasizes: elephants are smart. They are tenacious problem-solvers. Eventually the herd starts visiting his house – especially after he’s been away and is returning to the reserve. When they have babies, the females bring them to the house and “introduce” the babies to the human who is now an adopted member of the herd. 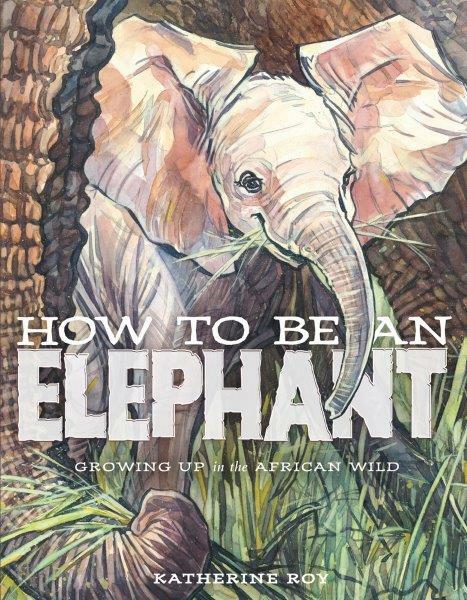 Woven throughout the book is Anthony’s life on the reserve – including some tips for gardening in elephant territory. Copyright © 2018 Sue Heavenrich All Rights Reserved. 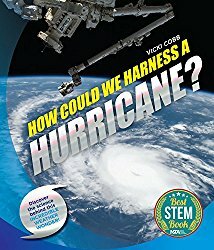 Vicki Cobb’s How Could We Harness a Hurricane? At Growing with Science blog we are featuring a 2018 Best STEM Book K-12 (National Science Teachers Association and the Children’s Book Council): How Could We Harness a Hurricane? by Vicki Cobb. What I love about it is that it’s filled with hands-on experiments for those kids who learn by doing. For example, there’s an experiment to show how hot water flows through cold water, and a way to try Torricelli’s experiment. How Could We Harness a Hurricane? investigates some difficult questions. It is perfect for older kids who want to seriously learn about hurricanes. Be sure to visit Growing With Science for suggestions for activities and resources to accompany the book. 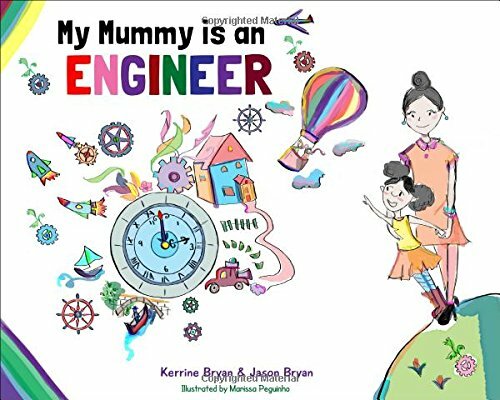 Booktalk: A young girl introduces readers to the many aspects of her mother’s job as an engineer. With flapping ears and whiffling trunks, the herd quickly relays the news. After 22 months of growing, a new baby is on her way. There are so many things this young elephant needs to learn. She’ll learn about the importance of family. She’ll learn that her feet were made for walking. She’ll learn about all the ways to use her trunk and how to communicate with distant families. More books about elephants, links, and elephant-related math and science over at Archimedes Notebook. 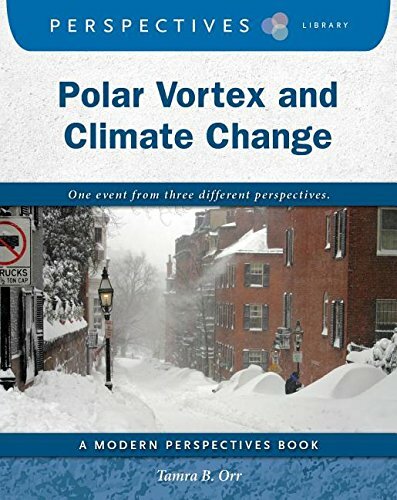 Booktalk: This book relays the factual details of the 2014 Polar Vortex and climate change through three different perspectives. The narrative provides multiple accounts of the event, and readers learn details through the point of view of a college student, New Yorker, and coal miner. The text offers opportunities to compare and contrast various perspectives while gathering and analyzing information about a modern event.